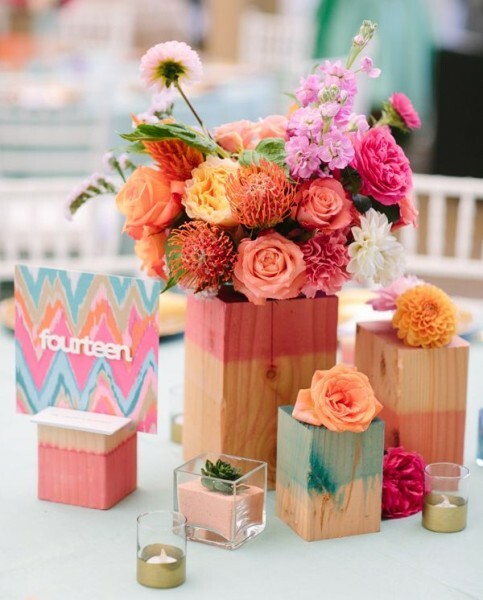 Let’s be honest… picking out floral centerpieces can be both stressful and costly. We have put together 5 simple and easy centerpiece ideas that are super cute, and won’t break the bank. 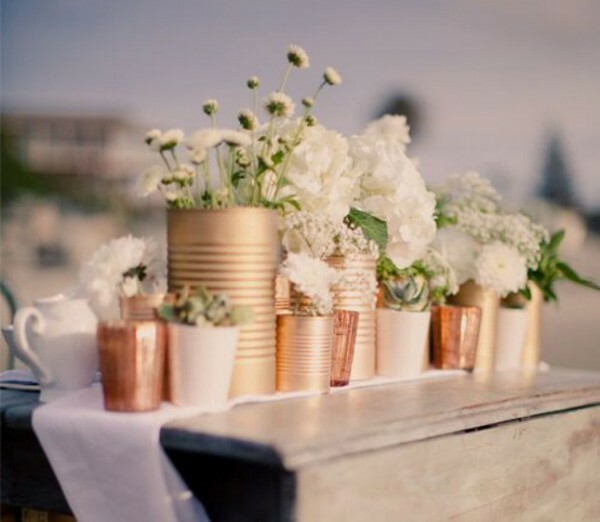 We love this really cute arrangement of centerpieces. The wood blocks dipped in paint is genius and affordable. Have a cute table in minutes! Recycle your old cans and refresh them with a few coats of spray paint. The ribbed sides of the cans add texture and the possibilities are endless and affordable! 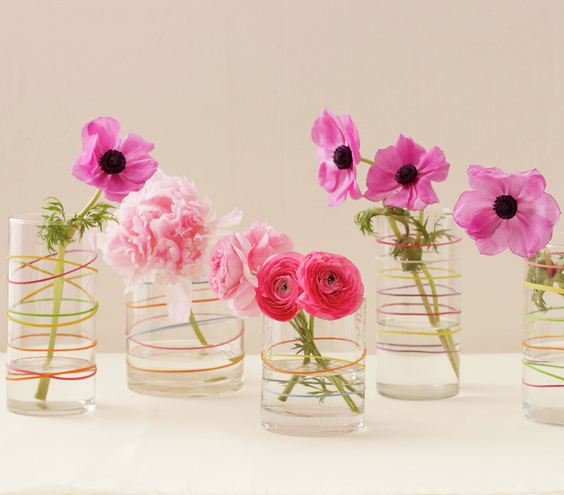 Add a variety of colored rubber bands to clear glass vases for a quick, easy and mess free centerpiece. Add in a few floral stems, and you’ve got yourself a cute centerpiece! 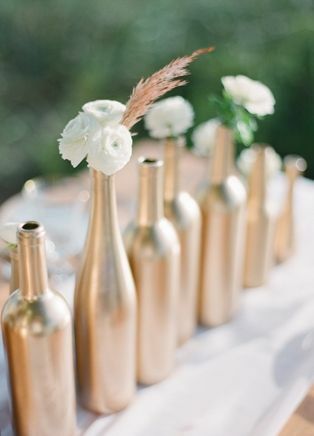 Wine bottles are a great way to add height to your table. Spray paint the bottles all one color or mix and match to add more depth and character. Either way, you’ve got a beautiful centerpiece and some awesome height. We love the different elements used in this centerpiece collection. Dip mason jars, vases, old glasses ect. in your paint of choice for a creative and simple centerpiece.